I was surprised and curious to discover the first herbaceous nurse root sprouting from one of the tree peonies I planted last fall. 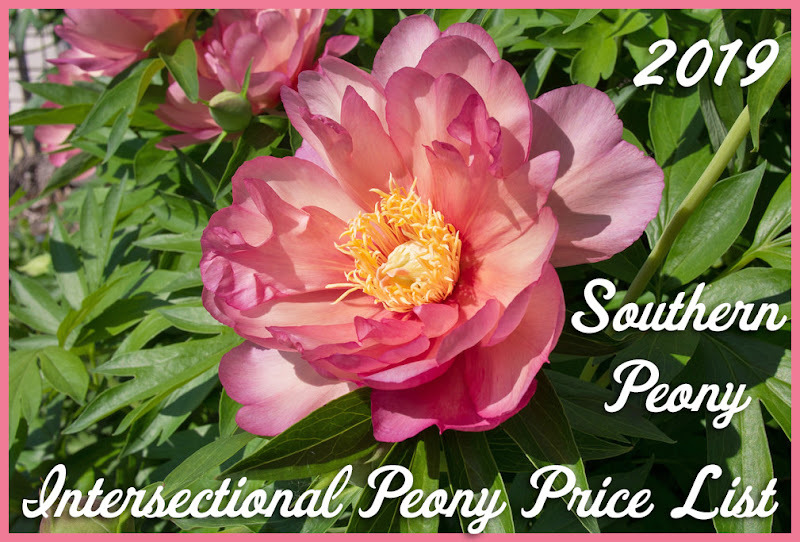 It was on Tree Peony 'High Noon', which I purchased from a very reputable source. I suppose the quality of the tree peony grower won't prohibit this from happening. 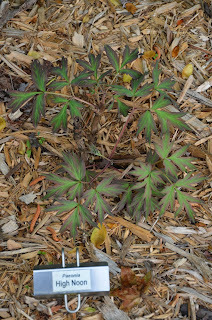 As you can see the photo on the left is what the tree peony looked like with the herbaceous nurse root sprout almost taking over the plant. 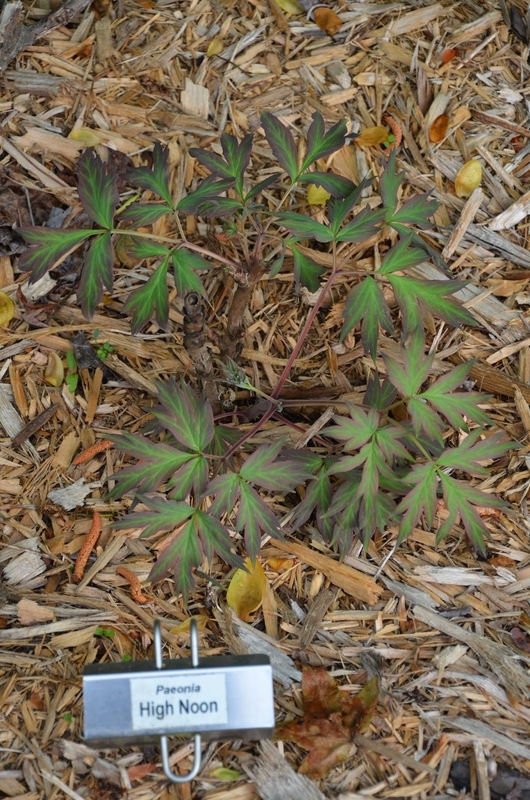 After I removed the herbaceous sprout, you can better see what the actual tree peony foliage looks like. 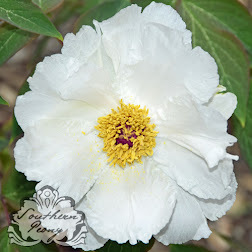 Both the herbaceous and tree peony foliage is very distinct. So you can easily tell when something is sprouting that shouldn't be and which stems you should remove. I just plucked the stem from its base, kind of snapping it off at the bottom. It was very easy to remove. 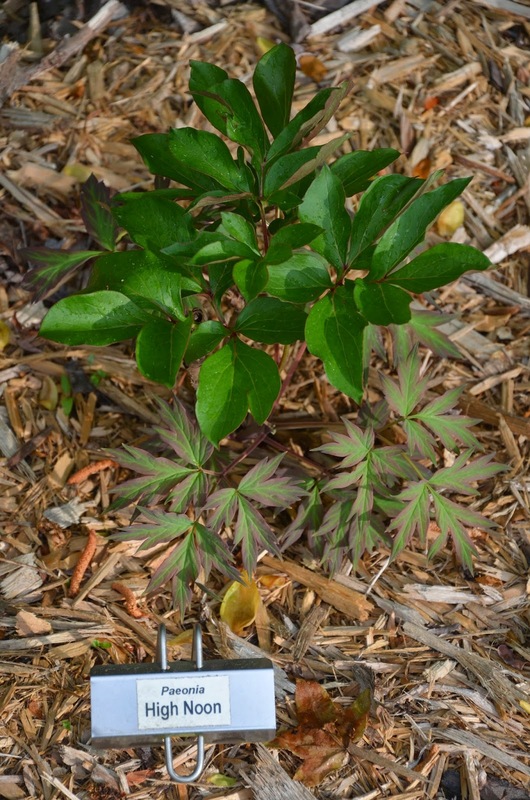 Now that the herbaceous sprout has been removed, the tree peony stem above will have more energy available to it for its own growth. 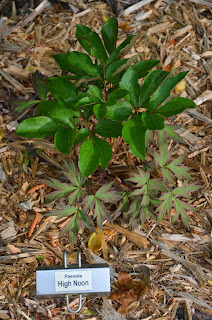 I will have to keep a close eye on this tree peony to make sure that no additional sprouts develop from the herbaceous nurse root that was grafted to this tree peony.